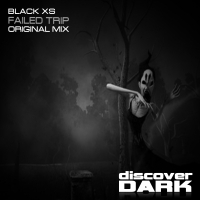 Black XS delivers a massive tech trance bomb with Failed Trip. Driving stabs that grind the tune along in perfectly distorted beauty combined with a breakdown riff that is simply beautiful. All this is held together with a huge throb of a bassline that will rock any dance floor. Brilliant stuff from Black XS. The trip might have failed but the tune definitely hasn't. 'Failed Trip' is available now from Beatport and iTunes.